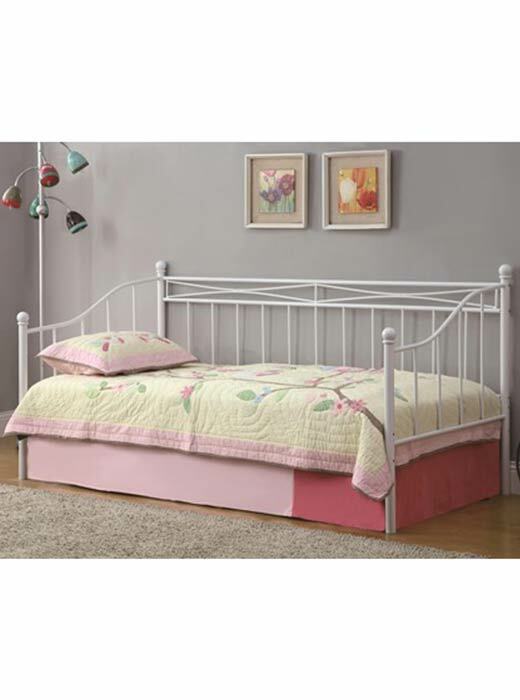 Perfect for children's bedrooms, guest bedrooms, or the living room, this versatile daybed freshens and brightens any space you place it in. 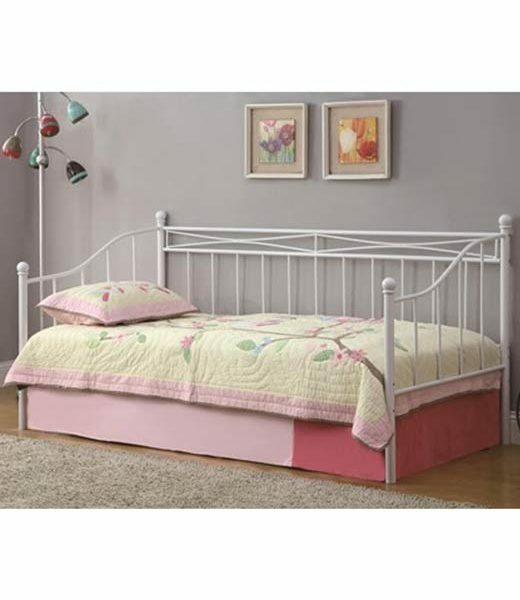 Perfect for children’s bedrooms, guest bedrooms, or the living room, this versatile daybed can freshen and brighten any space. The beautiful white metal frame is simple and charming, with a hint of country cottage appeal to blend with almost any color scheme or décor. Lounge during the day and sleep at night, this daybed meets a multiple furnishing needs and offers a brilliant style update.